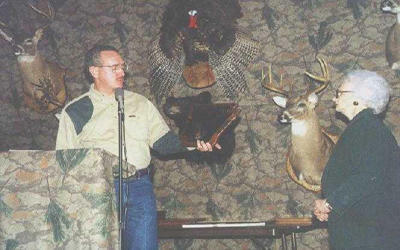 The Arkansas Bowhunters Association has established an Arkansas Bowhunter Hall of Fame to honor those persons who have made a difference in our sport. This is the highest honor the ABA can bestow on anyone. To Illustrate the integrity of this honor, the Executive Committee selected four individuals to be in the first class of inductees. 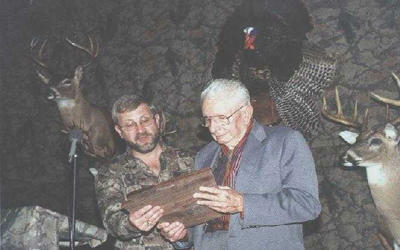 They are Ben Pearson, the father of modern archery and inventor of mass production equipment still in use today; Jack Witt, who started the Archery Center and helped many a new archer get started; Roger Maynard, the first ABA President who set the pace for the great organization we now enjoy; and Webster Meggs, one of the charter members of the ABA who has been a constant help to new archers and an endless supporter of bowhunting. Inductees will be selected from a list of nominees by mail ballot to the Executive Committee members, Life Members and to each 100% Affiliated Club. When you nominate someone, you should include some background information and a biography. To be selected to the ABA Hall of Fame, the individual must receive at least 20% of the returned ballots. Those selected will be inducted at the Spring ABA banquet. Considering the fact that this is our highest honor should bring nominations of individuals who have gone above and beyond the call of duty to our sport. 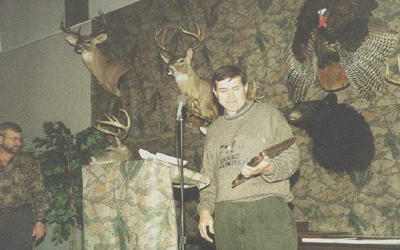 Clarence Taylor became the most recent inductee into the Arkansas Bowhunters Association Hall of Fame at the 2015 Spring Banquet. Shown here with ABA Vice President Roy Junyor (L) and ABA President Jim "Jello" Myers (R). 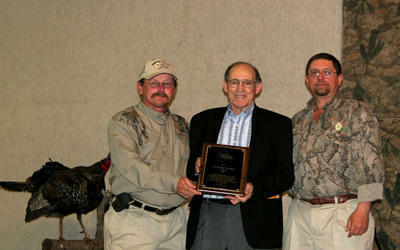 Dr. Shelby Woodiel became the most recent inductee into the Arkansas Bowhunters Association Hall of Fame at this year's Spring Banquet. Shown here with ABA Vice President Clarence Taylor (L) and ABA President Bob Hynum (R). The family of the late Dr. Dave Bosma after accepting the Hall of Fame award on his behalf. 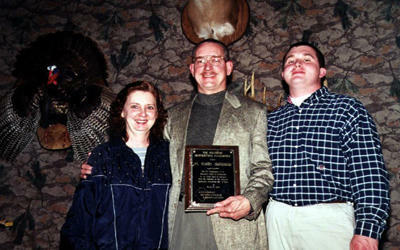 Mr. H. Keith DeNoble with his family after receiving his Hall of Fame award. 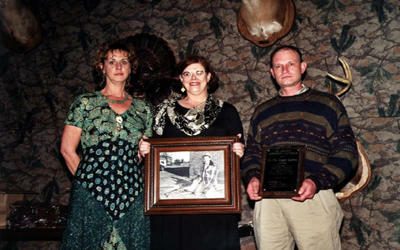 Mrs. Jack Witt accepting her late husband's award from Keith DeNoble. Mr. Ben Pearson Jr. accepting his late father's award from Doug Thornton. Mr. Roger Maynard accepting his award from Doug Thornton. 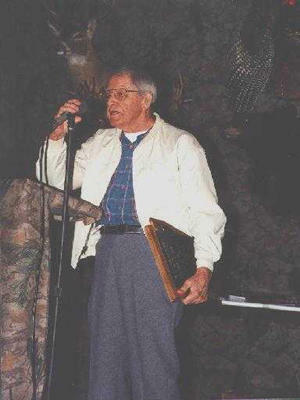 Mr. Webster Meggs addressing the crowd after receiving his Hall of Fame award.